John Franks (John), Founder and CEO of Chord Electronics Ltd. was in Singapore, the home base of Porta-Fi. 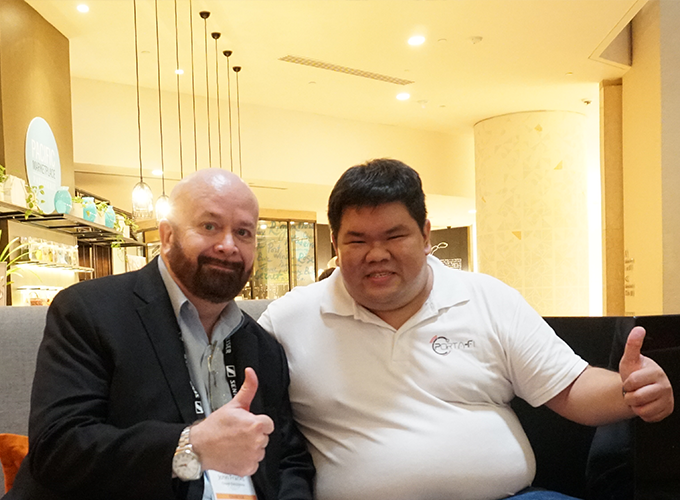 Our Editor, Beng Yeow was able to meet up with him to find out more about the founder himself, the founding of Chord, the working relationship with consultants like Robert Watts and the company’s offerings. First and foremost, John, I would like to express my heartfelt appreciation to be able to have a one-to-one interview with you. It was great to have interviewed Robert (Rob) Watts last year, the interview provided our readers and me with a lot of insights into Rob’s background and design philosophies as an electronics designer and the challenges that keep him going. [BY] Rob has been acting as a digital design consultant for Chord Electronics and this year is the 25th year you guys have been working together, a Silver anniversary of sorts, can we get more insights to how you guys started and how the relationship has developed? [JF] Rob and I started working together in a way because of my background in avionics (Electronics for Aircraft). This is a very exacting field that demands perfection or as close to perfection as can be achieved. Even if the design is difficult to achieve or is horrendously expensive, aeroplanes must have the best available electronics solution as anything less could be very dangerous. Working in that field for ten years ensured that I had that philosophy instilled firmly into me. It was my fastidious Avionics design approach I would hold on too, so when Rob approached me many years later in 1998 with something that admittedly, was going to be a horrendously expensive design for a DAC. The design used over 300 USD worth of Xilinx chips alone, exclusive of all of the other components. At these costs, it was going to be very expensive when compared to a typical audio industry DAC chip which everyone else in the Audio industry uses, which is priced at just a few USD. However, I quickly recognised that Rob had designed something truly brilliant. It was a design that did things for digital music that no other DAC could do at that time. My Avionics background had prepared me to accept that if I have to have to pay for excellence I must. Whilst I’m sure that any other Managing Director in the industry would have said “It is very nice Rob But is far too expensive to build”, I was prepared to pay the huge price for the components in the design that when on to become the DAC 64, our first commercially successful DAC. I first met Rob Watts in Las Vegas at the CES show around 1995 I think. We had found ourselves in the same exhibition room as Rob was also a manufacturer at that time and we were both sharing the same distributor at that time. I was immediately impressed by some of the advanced technology he had to show. As two Brits we chatted throughout the day and although it was strange as he lived in Wales some 250 miles from my own home in Maidstone in the county of Kent. Surprisingly he said that his parents were coming to live in my home town. I asked him whereabouts, he said “A local district called Allington,” I said “What a coincidence” as I’d just moved away from that area. Amazingly the coincidence was even greater, as not only did they move to the same district but the same street I’d lived in but even more strangely as the serendipity of the situation became apparent. It was not lost on both of us! As we realised that Rob’s parents had just bought the very same house I’d just moved from, precisely the one I’d recently sold. This must very long odds of ten million to one about the same as winning the lottery. To both Rob and myself that seemed to imply possibly that the fate or something similar was trying to intertwine our futures in some way. Well, 25 years on and they’ve been very successful in that I think. [BY] What was your vision when you first started Chord Electronics in 1989? What product did it offer? [JF] My vision for Chord was to offer high technology amplifiers of the finest quality. I had formerly been working with and designing very specialised high-frequency aerospace power supplies and so I had built up a considerably advanced knowledge base that I realised might be able to apply this to my longtime hobby of designing and building audio amplifiers. I’d recognised that there were advanced techniques and ideas that would significantly benefit audio designs that typically had ordinary low-frequency mains type linear power supplies. These could not give the significant advantages that a high-frequency unit achieves working at ultra-high frequencies way above the audio frequency bands. I had gotten the original design to work back in 1982 but I couldn’t commercialise the idea as at that time the technology was basically directly from aerospace and I had to wait for certain devices to become available commercially and also because my industrial career had just taken off and in 1983 I joined Astec, a Hong Kong Based company that during my time there was experiencing explosive growth from 500 to 32,000 staff around the world. After 9 years, I finally left Astec as Sales Director for Europe. After so much travel, I decided I really wanted to go right back to more local life and my design engineering roots. [BY] Originally an Avionics engineer, can you tell us more about yourself? How did you get involved in audio electronics? Were you passionate about audio from young? [JF] The audio engineering was well underway even before my Avionics career. You see I would always be making things with electronics since I received an electronics kit toy as a child of ten years old. I soon graduated from the kit and was scouring the television Repair shops for bits and pieces and components to design and build my own ideas silly kids stuff like there would have been Cats whisker Radios and burglar alarms for my bedroom and metal detectors and such I soon developed an interest in transistor amplifiers and had made some very small units and electronic crossovers then I became ambitious and made some larger stereos and even some quadraphonic decoder though by this time I was older and had started my career in Avionics which I qualified luckily because of my good hobby knowledge. I was taken somewhat under the wire, not as an apprentice but instead starting directly as a trainee engineer at rather a young age of 17 that meant that Marconi Avionics would give me time out and pay for my further education to degree level whilst I was also being trained to become an engineer this helped me a great deal as my parents could not have afforded me to go to University at that time. So I was able to develop my skills and knowledge and soon I was able to use them to make large amplifiers for some my friends especially those with music systems for dance clubs called Disco’s they needed brute power. However, I also made low distortion stereo amplifiers for my friend and work friends as everyone loved stereo music systems at that time and this for me became a life long obsession. 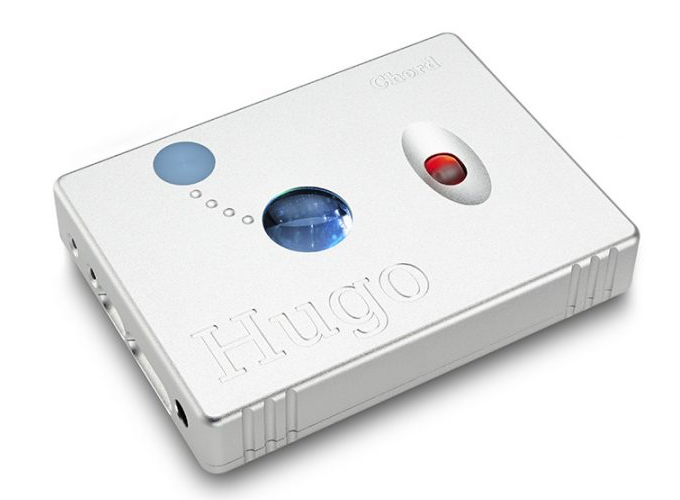 [BY] Chord introduced Hugo in 2013, the company’s first portable offering. How did that come about? I would go about eighteen months previously to Tokyo Japan and when I was taken to a small Headphone show just for a look around. What amazed me was the total enthusiasm for the event. There were bunches of young guys around small tables showing what their companies had made. Some of them just crazy very young hobbyists showing old tobacco tins with bits of Vero board inside or handmade circuit board along with a few components. even some of them with tiny bits of plastic toys looking like little houses with gardens inside. Never the less all these units were being seriously listened too with much pleasure and fun. This took me back to my own younger days and this event reminded me how Audio was for my generation and just how enthusiastic we were at Hi-Fi shows when a new design of turntable came out or new amplifier. I realised that with all that enthusiasm the technology I saw at that time was really not that advanced all units had rather average quality chip style DACs. With only a pretence of anything at the show being of true quality. The major companies products had nothing special inside and audio quality was a low priority. To me this was very thrilling, you might say, kind of cathartic! I realised that with the technologies that Rob and I had developed over the years. We could bring something totally new to this market. In fact, we brought, for the first time a mobile DAC whose performance was truly world class. We could really show that Chord advanced the art of mobile audio. Although, I was concerned at first if people would notice or if they could tell the difference, yes they noticed and they could. We had people were running into our room at the CES where we launched Hugo and shouting that they’ve just been told to come here and listen to it. Soon, everyone knew about it and we had a problem we’d never built a product in thousands before so we had to learn fast as our distributors were inundated with orders and pleading with us for products. 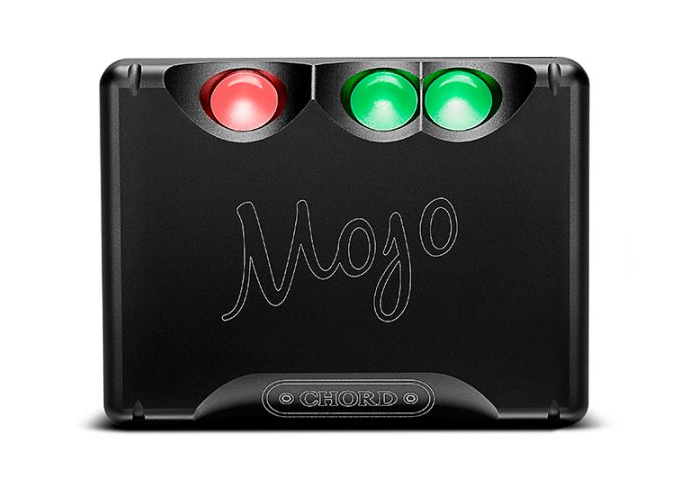 [BY] Chord next introduced Mojo in 2015, did feedbacks on Hugo shape Mojo? Was the product positioned differently from Hugo? [JF] We realised Hugo was very successful however it was not being used much for its original mobile application. It was being used for desktop playback as it was considered to be just a little too large to carry around. Despite that, guys at that time were banding many units together that did the same job and they were carrying those around this certainly seemed to be popular. Possibly they only did that at Headphone shows? Rob and I were travelling around Indonesia and meeting many enthusiasts that said to us that they love the Hugo but it will take them more two years to save up for one. We both decided that we should try to develop a smaller unit with comparable performance. This was easier said than done. Rob initially said he couldn’t make the spec but phoned me a few weeks later saying there was a newer smaller lower cost chip from Xilinx that looked promising. Initial costings showed a good cost saving of about 500 GBP compared to the Hugo. I said it was not enough, we need it to be an even lower cost about 800 GBP less than Hugo. Well after rather a lot of head scratching we made it and the Mojo was launched at the Shard in London. [BY] The portable offerings from Chord have been revolving around DAC amplifiers, have the company considered other portable offerings before? [JF] You mustn’t forget our Poly. This product has been an enormous engineering undertaking. Streaming audio itself has been evolving over twenty-five years and so has become overly complicated for some people, in fact, it’s beyond many peoples intelligence pay grade. This Poly unit mobile streaming product has the most advanced hardware one could imagine. All packaged down to a tiny size, however, we had a problem we had tried to get feedback from our distributors as to the software functionality we got nothing back. So we had to put it out there we had made sure we could evolve the software and upload the new programs automatically over the internet. We have had 40 software updates. You might ask why! It was rather like throwing a baby animal into the African savanna and expecting it to thrive. There are over 15000, yes the number is about right, different wireless Router types in use, there are about 100 different phone types in current usage, each with different operating systems. In the last eighteen months, a major fruit logo company themselves have updated their operating systems very often sometimes completely changing their operation. The plethora of Android phones all has slightly different versions. And don’t let me get started on players they are all different and have their own bugs and odd behaviours. In order for Poly to be compatible, we had to let Poly meet them all and Poly had to evolve getting better as well as gaining new features all the time. I’m very proud of what Poly is becoming, there is nothing to truly comparable that has similar functionalities or performance. We are about to announce a very major software update giving some very nice features and even better faster usability. [BY] From the interview we had with Rob, we knew he was one who pushes technologies boundaries. DAC 64 is the first commercialised product which realises Rob’s methodologies and concepts as well as the foundation product behind Chord’s success in DAC development. Can you provide us with insights into the development of DAC 64 as well as the challenges? [JF] Rob is by far the most valued of our digital consultants and yes he does push the technology boundaries, it might surprise you to find that we actually have more than ten individual digital consultants. Each of them tasked with pushing the boundaries of the technologies of what Chord Electronics develops. Rob is so highly specialised, he is a senior audio scientist and we keep him focused in one sector DAC and ADC development and soon to be digital amplification. We have another guy Dominic who does all the USB protocol development that also goes into all the DACs that Rob develops and we have Rajiv and his large team who are developing our advanced streaming capabilities. [BY] A lot has been covered about the company’s DAC offerings, I do know that while digital electronics is Rob’s expertise. You are the analogue guy in the company. Can you share with us about the company’s capabilities in analogue electronics? And how it contributes to the success of the DAC offerings? [JF] I believe now we have some of the most technically advanced audio amplification available today. Two years ago following an extensive period of research and development, we announced our new Etude compact amplifier. We were pleased to show off a totally new topology, the first major change in many years. Based on a paper presented many years ago by Malcolm J Hawksford the concept was taken up and refined by a young Bob Cordel from Bell Labs. He put forward a small amplifier design which had an unprecedented 0.001 per cent total harmonic distortion at 20 kHz. We looked at his work from back in the nineteen eighties and we developed our first design that incorporated not only the amazing dual feedforward error correction topology but our own advanced MOS FETS and concepts in ultra-high-frequency power supply technologies. With nested feedforward and global feedback, it allows for our own custom designed Dual Silicon Die MOS FET output transistors to perform uniquely well. Initially TO3P types in the lower power Etude. 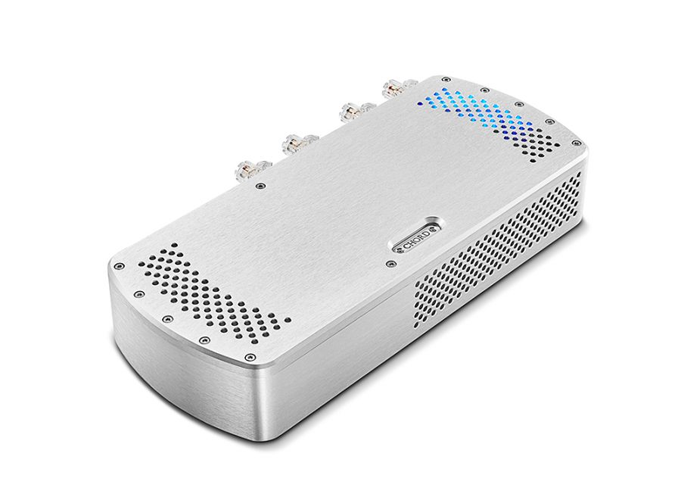 However, on our far larger amplifiers, we have opted for many multiples of specialised TO3 metal case types. 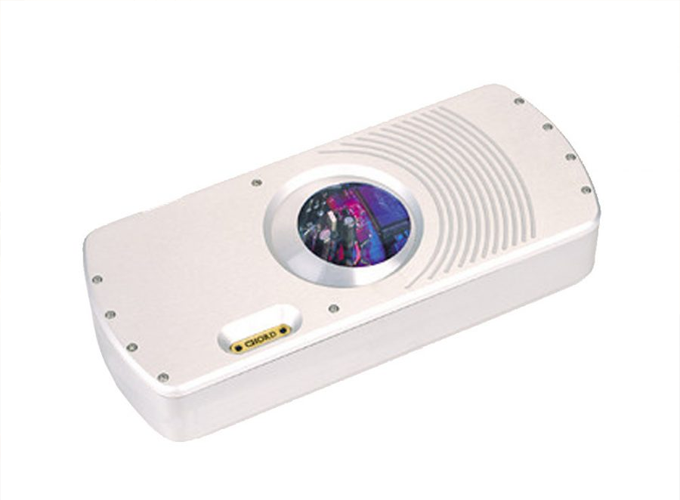 These are ideally suited For very high power having extremely robust metal cases. Each custom transistor device having been designed for Chord having dual silicon die and an unusually thick copper inner base plate for mounting them on, is capable of controlling 16 amperes at up to 260 volts of flowing electrical current. The new Ultima Mono design topology. It can be said that most well-designed amplifier’s performance is ultimately limited by their Output Stages which is why we have invested in the best possible output devices and an advanced compensating technology that serves to bring the fastest, most Linear and most accurate output there is. [BY] It has been noticed that after the release of a product even for digital products, the company has never updated the products via firmware upgrades. Why? [JF] As I’ve outlined this is not strictly the case as it only applies to our DACs and has been down to the military grade level security of the Rob Watts intellectual property contained within. There are many companies who would dearly love to get their hands on thirty years of Rob’s knowledge contained in his life work. I once said to him aren’t you concerned that by telling so much about your designs in forums you post that others will soon duplicate what you’ve mentioned. He laughed and show me a block diagram he said see that block that took me six years that block took me seven and that block in the middle works amazingly well but it’s still a work in progress. So Rob has no worries but he is extremely careful about source code and anyone having a go at cracking the core programs. [BY] Transparency seems to be an important attribute which both Rob and you value in the context of audio fidelity. Why? [JF] Anything other than transparency is either Colouration or Distortion or transient timing issues, so why would we want to include those into our products? As an example, I must share is that when I first started out with Chord. I couldn’t, at first, it was rather difficult to sell my products that well in the USA, opinions on them very decided I couldn’t understand why but a world-renowned recording engineer gave me a hint he pointed out it was strange. Because many really loved the sound of our amps and I could sell to studios and musicians who knew well what real music sounded like and of course those people that went to live orchestra concerts but I must admit there was a small kickback from middle America I suddenly realised they were so used to a soft and muddled soundstage from years of playing big old ultra warm sounding valve boxed radiograms and good old style jukeboxes. This had changed their musical appreciation! It had been bent toward the warm and muddled away from the accurate and transparent. It took years for this strange bias to fade as more people in the USA got us to a more balanced correct type of sound. John, on behalf of our readers at Porta-Fi, I would like to thank you for taking time off your busy schedule to accept our interview. Looking forward to more exciting products from Chord Electronics. [JF] Thank you very much! I would also like to take this opportunity to thank Eng Siang International Pte Ltd for arranging the interview. Hi Jake, you are most welcome. Glad you enjoyed the insights.